Scott Forstall —Apple's former head of iOS development —will appear at the Computer History Museum in Mountain View, Calif. on June 20 to talk about the origins of the iPhone, according to an announcement. The event will be hosted by historian John Markoff, and be preceded by a panel discussion with three engineers from the iPhone team: Nitin Ganatra, Scott Herz, and Hugo Fiennes, the museum said. The latter begins at 6 p.m. local time. The museum is hosting an ongoing program called "iPhone 360," marking the iPhone's 10th anniversary. Apart from events, the effort includes research, educational initiatives, and collecting artifacts and oral histories. Forstall may be asked to weigh in on a minor controversy about an upcoming book, The One Device: The Secret History of the iPhone. In it author Brian Merchant claims that Apple's marketing head, Phil Schiller, pushed for the iPhone to have a physical keyboard, even when everyone else was onboard with touchscreen typing. On Tuesday Schiller denied this, later receiving support from Tony Fadell, Merchant's original source. Merchant said that he has an audio recording of Fadell backing him up. 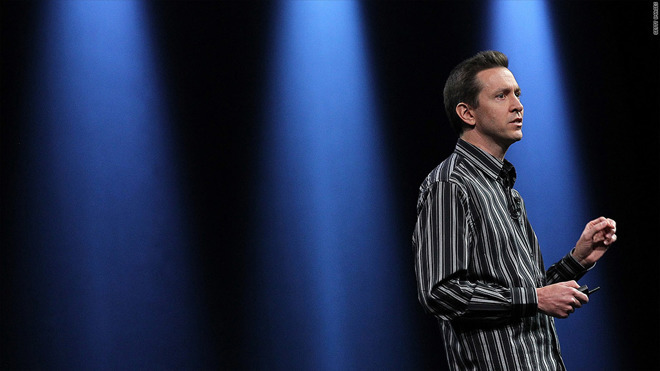 Forstall was forced out of Apple in Oct. 2012, largely as a result of iOS 6. The software's Maps app jettisoned Google content in favor of other sources, and quickly became infamous for missing or mislabeled data. Forstall was also allegedly unpopular among some executives, in part because like former CEO Steve Jobs, he was in favor of skeuomorphic interface design. iOS 7, released the next year, immediately switched to a "flat" look less reminiscent of real-world objects.